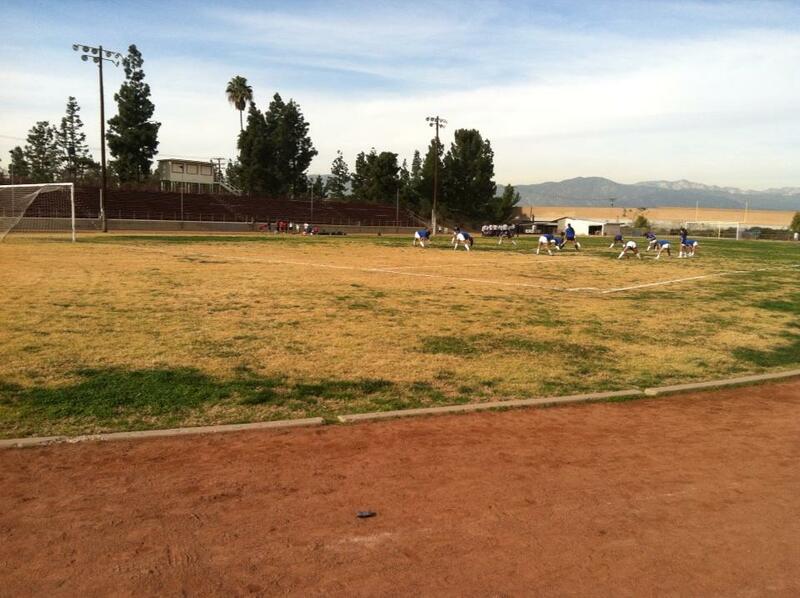 This might not be a popular topic with school’s, but who has the worst athletic facilities in the SGV? This is Los Altos’ stadium field, one of the worst I’ve seen. I’m not saying Los Altos has the worst athletic facility in the SGV, but it’s somewhere in the top ten. Can you think of other schools in need of major facelifts? If you ask who has the BEST athletic facility, I’d go with Damien. Workman and Keppel have become hotbeds for boys and girls basketball and all four varsity teams are among the best in the Valley. 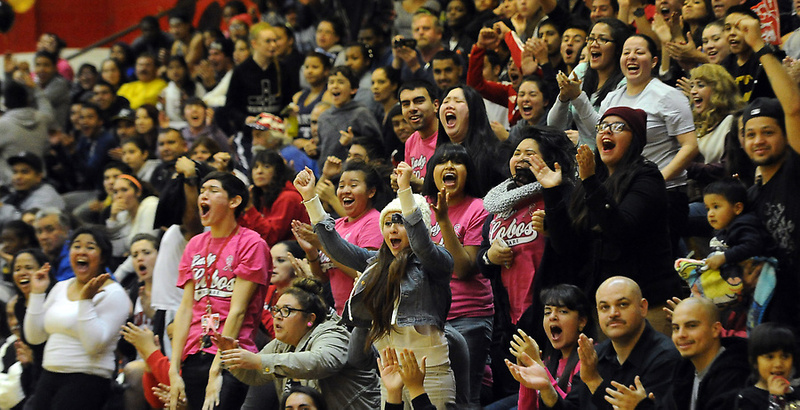 Workman boys are 22-1 and the Lobos’ girls are 20-4, having beaten previously undefeated Duarte in back-to-back games recently. The Keppel girls are among the best in the Southern Section at 20-4 and the boys are tied for first in the Almont with a 17-8 overall mark. How do they do it? You don’t necessarily think of Keppel and Workman as basketball factories, but that’s what they’ve become. Go somewhere else with the “they recruit” allegations, whatever they’re doing, it’s good for basketball, good for players and the schools. What’s even more impressive is the atmosphere. Both schools remind me of the 80s and 90s when gyms were packed and the crowds were into it. There’s not enough of that lately. 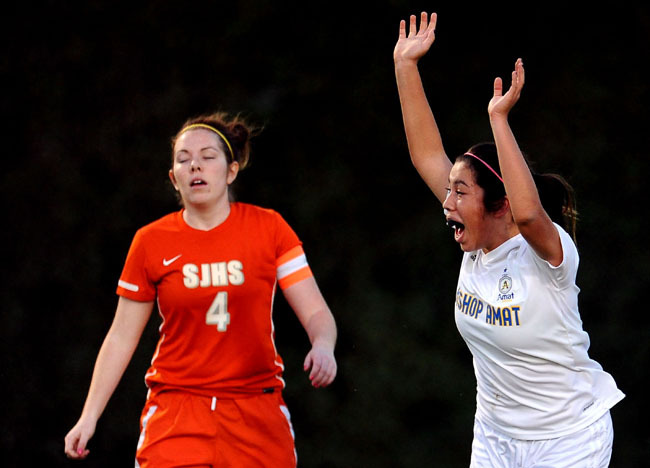 Have you been paying attention to the high school soccer scene? If so, who are your players of the year? I have a strong feeling who I’m considering for the boys and girls soccer players of the year, and a list of candidates under consideration for the all-area teams. But obviously, playoffs and how teams and players perform in the post-season is where you can make your strongest arguments. But with a week left before the knockout rounds begin, who has impressed you the most? If you’re one of those people who roll their eyes when they hear about a football-related event long before the season starts, then Charter Oak High School football coach Lou Farrar has a doozy for you. Farrar announced earlier this week his program will host an eight-team passing tournament on May 18. To put it in perspective, that’s the same day as the Preakness Stakes … and just one day after the first round of the CIF-Southern Section baseball playoffs. Speaking of the baseball playoffs on May17, that’s also the night of the Hall of Fame All-Star Game for soon-to-be graduated local football standouts. Yes, the era of the overlapping sports season has arrived. Only a rare talent can score two points in one quarter and one point in another and still take over the game, lead all scorers and ultimately earn his team a win. 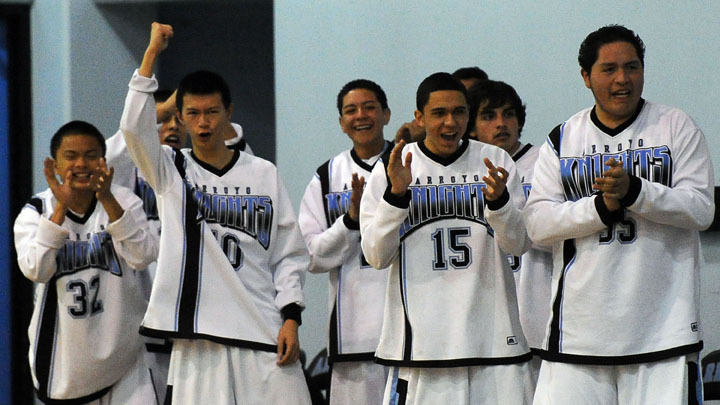 That was the case for Arroyo High School basketball standout Primitivo Gomez on Wednesday. The 6-foot-5 senior erupted for 15 points in the third quarter on his way to a game-high 28 points as Arroyo moved a step closer to a Mission Valley League championship with a 65-58 win over visiting Gabrielino. COVINA — It’s checkmate in the Valle Vista League. Mike Peters scored 17 points and Blythe Curry had 15 and Covina High School won its first outright league title in more than two decades with a 64-55 victory over visiting Nogales on Wednesday. The Colts, who shared the Valle Vista with Wilson and Northview last season, also are back-to-back champions for the first time since the early 1980s. Covina, which improved to 18-5 overall and 10-0 in league, also received 12 and 10 points, respectively, from Matt Hicks and Eddie Hays. James Santiago had 24 points for Nogales, which slipped to 5-19 and 1-8. The Bishop Amat girls soccer team might not be as powerful as the team that won the CIF-Southern Section Division 3 title in 2011 or the one that advanced to last year’s championship game, but don’t tell the Lancers they’re not contenders anymore. They think they’re and went out and showed why. Feeling snubbed after being left off this week’s Division 3 poll, Bishop Amat responded with a 1-0 victory over second-ranked St. Joseph on Wednesday, avenging a 3-2 loss to the Jesters earlier in the season. The victory moves Amat (12-4-5, 5-1) and St. Joseph’s (16-4-4, 5-1) into a first-place tie in the Del Rey League with two games left. Both teams had opportunities in front of the goal, but Amat had better opportunities on set pieces, trying to convert long throw-ins and corners. Finally, in the 67th minute, Amat’s Cassadra Reyes took a pass and darted down the left side, crossing a ball in front that senior Kathleen Zamora headed home for the lone goal.